We have a great selection of men's and women's Statesman Superior Fieldrunner Boots in-stock. Stop in to see our full selection. 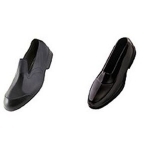 We have a great selection of Statesman Superior Garden Runner Shoes for men and women. Stop in to see our full selection. Never fear, your Sloggers are here waiting by the back door! Just slip them on and hose them clean. They feature "All-Day Comfort" insoles and a deep lug tread for excellent traction. Made in the U.S.A. Always was. Always will be. Never fear, your Sloggers are here waiting for you by the back door! Just slip them on and hose them clean. They feature "All-Day Comfort" insoles and a deep lug tread for excellent traction. Made in the U.S.A. Always was. Always will be. 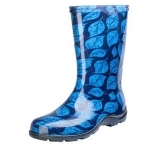 Prevent damage from rain, mud, snow and salt. 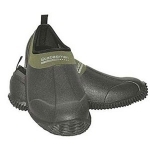 A high stretch natural rubber overshoe is completely waterproof and is easy to take on and off. With an exceptional fit and comfort, this lightweight, yet tough and durable shoe is designed for extra traction on slippery surfaces. See store for available selection. Keep comfortable and dry with the Statesman 12" Superior Fieldrunner Boot. 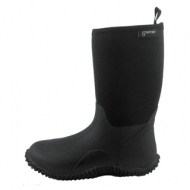 This tough, 100% waterproof neoprene boot is designed to withstand wet, mucky conditions. The boot is insulated to ensure warmth and features an EZ Clean outsole base, removable insole and a pull-on strap. 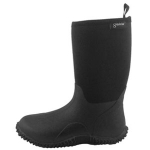 Keep comfortable and dry with the Statesman Superior 12" Fieldrunner Boot. This tough, 100% waterproof neoprene boot is designed to withstand wet, mucky conditions. The boot is insulated to ensure warmth and features an EZ Clean outsole base, removable insole and a pull-on strap. Keep comfortable and dry with the Statesman Superior Fieldrunner Boots. 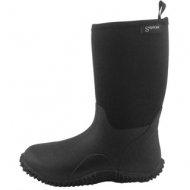 This tough, 100 percent waterproof neoprene boot is designed to withstand wet, mucky conditions. The boot is insulated to ensure warmth, and features an EZ Clean outsole base, removable insole and a pull-on strap. This black boot comes in Men's size 11 and Women's size 12. Garden in style with the Statesman Superior Gardenrunner Neoprene Shoe. 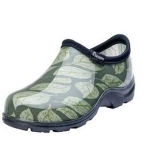 Made of durable neoprene, these insulated garden shoes are 100% waterproof with a removable insole. The traction EZ Clean outsole provides great footing in all kinds of terrain. 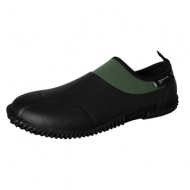 The Gardenrunner is ideal for keeping your feet comfortable and dry. 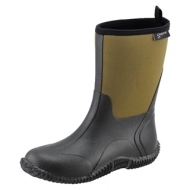 Statesman Women's 10" Fieldrunner Equine Boot offers excellent protection in wet and muddy conditions. This tough, 100% waterproof neoprene boot is insulated to ensure warmth and features an EZ Clean outsole base, removable insole and a pull-on strap.